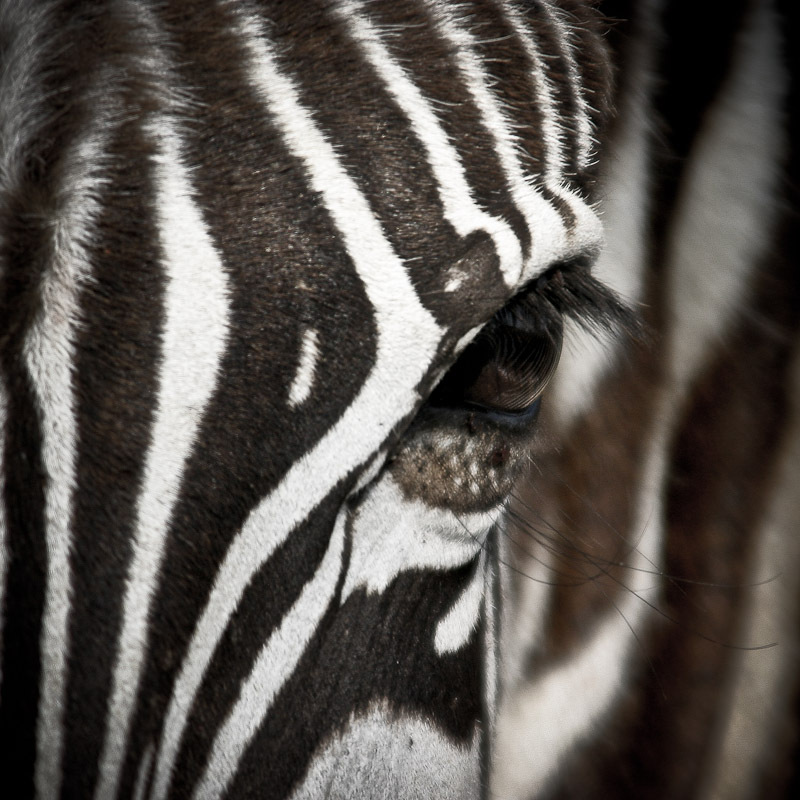 A long lens allows you to enjoy some of the interesting details of animals you spot on safari. Notice the long lower eyelashes and the reflection of his stripes in the eyball. Lake Nakuru, Kenya.